The ENKEI Falcon has a strong, old-school five-spoke design & comes in stylish Hyper Silver with a shiny machined lip or in an able-bodied Matte Gunmetal color with a subtle machined lip. The Falcon is perfect for both import and domestic car enthusiasts. 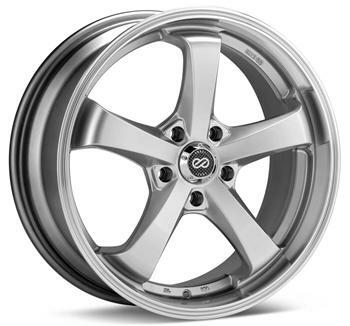 Available in 16×7, 17×7, 17×8, 18×7.5, 18×8, 20×8.5, and 20×10 and is made with the same high quality & advanced technology you’d expect from the ENKEI brand.